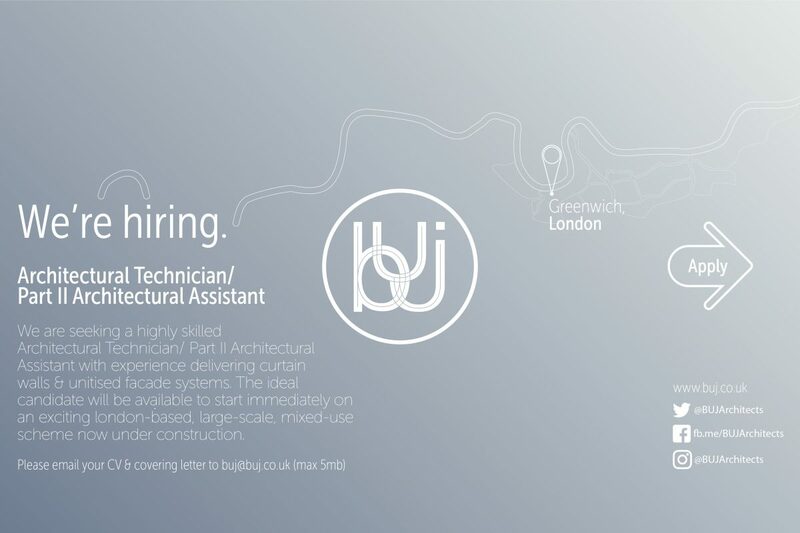 BUJ Architects are recruiting for Architectural Technicians / Part II Architectural Assistants for our small-medium sized office in Greenwich, London. Candidates should ideally have experience delivering curtain walls & unitised facade systems and be available to start immediately. Additionally, candidates should have experience across all stages with the ability to work as part of a team in preparing, producing and delivering London-based, large-scale, mixed-use schemes which have recently acquired detail planning and are now under construction. Experience delivering curtain walls & unitised facade systems. Experience of UK Building Regulations. Experience of working drawing packages. Revit experience would be advantageous.